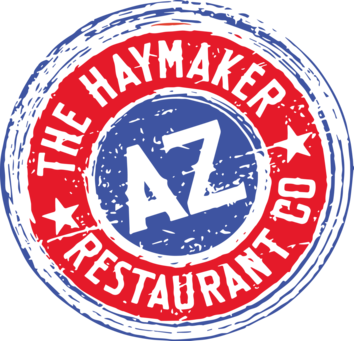 The Haymaker Restaurant is located on the corner of Lake Pleasant Pkwy and Happy Valley Rd, serving up the best burgers in Goodyear. We pride ourselves on sharing delicious family recipes like slow cooked ribs, amazing chicken wings, juicy tender pulled pork and of course our cherished house made BBQ sauce. Start your day off right with a breakfast served 7 days a week. Gluten-Free menu available. Lastly, we love our whiskey as much as anyone, that's why you will find the best whiskey selection of anywhere in Phoenix!